While the big show is Saturday's Caring People Pumpkinfest Parade, which steps onto Main Avenue at 3 p.m., this year's events offer something for everyone. Zeeland City Councilwoman and Mayor Pro tem Sally Gruppen's face glows when she talks about the festival, which starts today and ends Saturday. This year's theme is Pumpkinfest "Hits the Road," and displays some of the most popular road destinations in the United States. Carla Flanders, Pumpkinfest's director and owner of CMS Marketing, said she hopes to get a good headcount of how many people attend, and estimates that in previous years, as many as 15,000 people have flocked to Zeeland. Weather plays a huge role in the annual mostly outdoor event, now in its 29th year. "Everyone has such a great time, no matter what the weather does," Gruppen said, suggesting that the bit of rain forecast over the next few days won't deter revelers. "We have a rain plan for everything," Flanders said. This her first year as festival director and the first year the festival has been organized independently. "If there is rain, things will be moved to the Howard Miller Community Center or Cityside Middle School's gym." This year, a section of Church Street (between Main and Central avenues) will be dedicated to children — with Critter Barn animals, chalk art, crafts and bounce houses. Puppeteer and troubadour Kevin Kammeraad will be featured at 6 p.m. Friday during Howard Miller Library's Pumpkinfest story time. "We have a downtown-based Pumpkinfest Hub at 136 E. Main, next to Franks," Flanders said. "People can come in and buy mugs, T-shirts and other things, as well as get information." 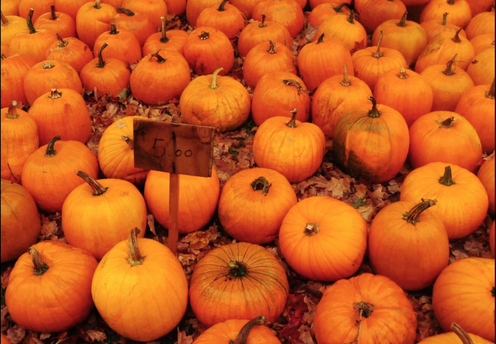 This year marks the debut of a free pumpkin patch, next to Mast Heating and Cooling, 355 Royal Park Drive. Locals can pick up the best candidate for the new pumpkin-rolling contest, at Zeeland Christian's hill, where the fun starts at 11:45 a.m. Saturday and wraps at 1 p.m.
Crafts, balloons, face painting, a coloring contest and pedal-powered tractor pull are among attractions for young families. Daily pumpkin-carving contests, bike decorating and a men's softball tournament should bring teens and adults, while just about everyone loves Zeeland Rotary's traditional chicken barbecue dinner (which benefits scholarships for area teens and world heath programs), set for 2-6 p.m. Adults can relax Saturday evening at Vitale's entertainment tent, 8-11 p.m. Saturday, 49 W. Washington Ave.
A Pumpkinfest Fun Run/Walk is set for 7:45 a.m. Saturday at the Zeeland Stadium and a bike-decorating contest starts at 2 p.m. Saturday, at Main Street Bicycle Co., 201 E. Main St. 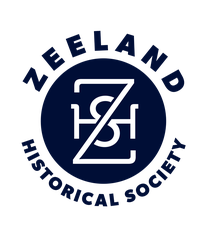 This year's parade will honor the Zeeland Historical Society as the Grand Marshall, with founding members Dorothy Vos, Wilma Veldheer, Mary Jane Vander Weide and John Hoogland scheduled to lead the parade.